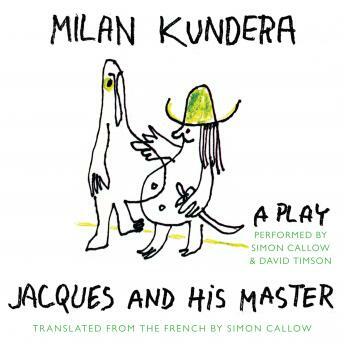 Jacques and His Master is a deliciously witty and entertaining play by Milan Kundera, the acclaimed Franco-Czech author of The Unbearable Lightness of Being and The Book of Laughter and Forgetting. A highly original variation on Enlightenment philosopher Denis Diderot's novel Jacques le Fataliste, Jacques and His Master has been successfully staged all over the world. This new translation by Simon Callow has been authorized by Kundera as the definitive edition.